Friday only! 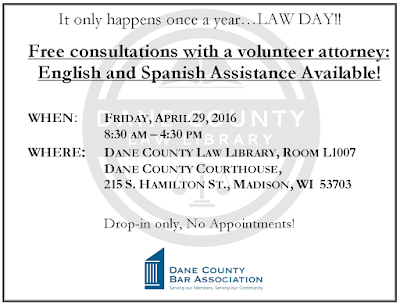 Get a free legal consultation with a volunteer attorney at the Dane County courthouse. When: Friday, April 29th, 2016 from 8:30 a.m. - 4:30 p.m. This drop in clinic is offered as a part of Law Day celebrations at the Dane County courthouse. There are also events for attorneys, students, and families. 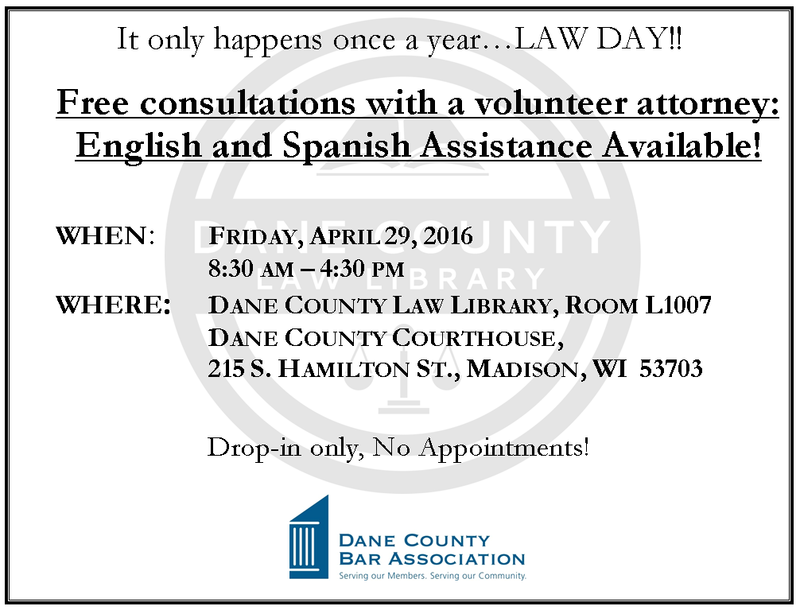 To learn more, visit the Dane County Bar Association's Law Day page.